A hunting trip with his four dogs in the Florida Everglades by experienced woodsman, James Flynn in March 1965 would result in a close encounter that would leave physical consequences for the rest of his life, including being legally blind in one eye. While there is debate as to whether the craft Flynn witnessed was extraterrestrial in nature or a clandestine military project, there is little doubt that he witnessed something very real in the cut-off environment of the Everglades. At the time, Flynn firmly believed the craft was “some secret aircraft of ours”. Furthermore, once he could prove it, he would bill them for the repairs to his injured eye. Over three decades later, in 1996, however, he would state when speaking of the incident in light of no satisfactory explanation for it that, “I’m (still) waiting for the day someone turns up the truth about this thing”. Now, twenty years on from that statement, and over half a century removed from the incident itself, that truth is still waiting to be uncovered. The US military, aside from an initial interview with the witness, would essentially wash their hands of the affair. 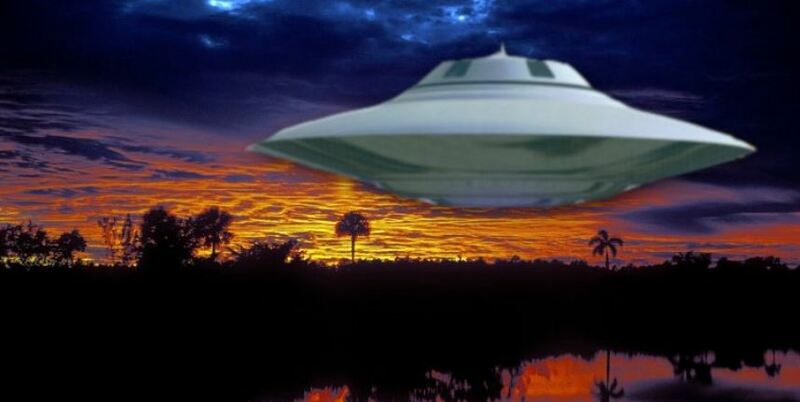 This is very likely due to a wave of UFO sightings in the south Florida area at the time. One of which occurred at the Crestview School several years later, which we have examined before. 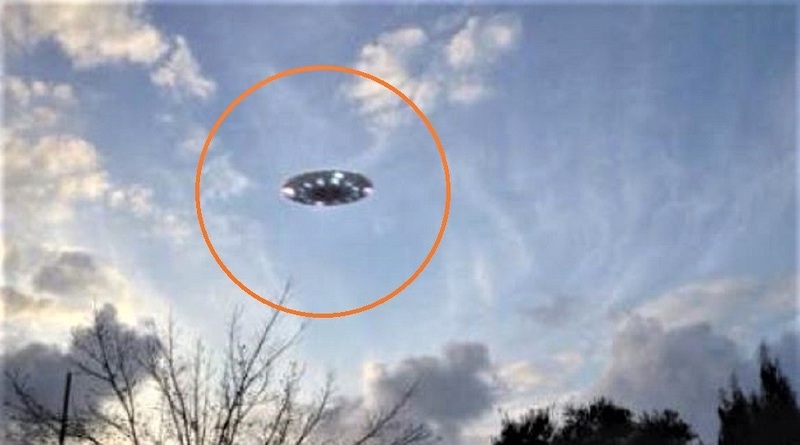 It is highly likely the craft witnessed by James Flynn was under the same intelligent control as many others witnessed across the state of Florida in the mid-sixties. It was around 1 am in the opening hours of the 15th when Flynn first caught sight of something slightly strange. The object was around a mile in front of him. It would glow a bright yellow as it moved just above and through the tree-tops ahead. After several moments it disappeared into the distance. However, only minutes later, it returned and hovered over the trees once more, again for around five minutes. Flynn continued to force the swamp-buggy forward, now heading directly for the strange craft’s location. As he did so, he witnessed the object once again vanish into the distance. He continued to head towards its previous location, though, and once again the glowing craft soon returned. With the marshland becoming increasingly thick he stepped out of his swamp-buggy. He would continue forward on foot. He scanned his surroundings once more, refocusing on the object ahead, and then set out in its direction. Now, only a quarter-of-a-mile away, Flynn watched as the object appeared to land in a small clearing in front of him. Believing he was witnessing a helicopter he snatched a quick look through his binoculars. It didn’t take long for him to realize it wasn’t a helicopter he was seeing. At least not a conventional one. Perhaps, he reasoned, it was a secret military aircraft from the (relatively) nearby Cape Canaveral. Either way, he was as intrigued with glowing craft as he was concerned for his still missing dogs. Although determined to see what this strange object was, he would proceed forward with caution. As he neared its location he could see it was like an “upside-down cone” with a distinct circular underside, from which came an orange-yellow light. He would estimate it to be around seventy-five feet across and around thirty feet high. As he studied the craft even closer, he could make out “portholes or windows” around the side in rows. A yellow glow leaked out from the inside of the craft through these windows. Although he tried to see signs of activity inside, he was unable to make out any particular details. Then, as he studied the craft more intently, an intense “diesel generator-type whirring” filled the air. Inside the cage on the swamp-buggy nearby, Flynn’s dog became immediately agitated and nervous. Flynn remained in the shadows on the outskirts of the circle of light cast on the ground from the craft’s underside. He took a breath before walking forward, waving his arms as he did so in an attempt to communicate. Suddenly, the whirring intensified into something more akin to a jet engine. At the same time, a powerful wind appeared out of nowhere within the circle of light. So powerful was this blast of air that he fell to the ground unable to stand. He pulled himself to his feet, gathered his thoughts and approached the craft again. He was only yards away from the mysterious object when a sudden “light beam” shot out and hit him directly in the middle of his forehead. Flynn would later describe it as “a blow like a sledgehammer between the eyes”. He looked around the scene for several more moments, although his mind wasn’t able to process what was happening. Then, he lost consciousness. When he awoke several hours later, his eyesight was severely hampered. So much so that he was almost blind. His head also ached terribly. He would later discover a dark bruise where the light beam struck him. He looked around him. The strange craft was no longer there. However, as he stood he could see the grass underneath him was “charred” in a distinct circular shape. He also noticed some of the nearby trees were also singed and burnt somewhat. He would call on a friend to assist him in returning to his home in Fort Myers. Once there he would seek out medical treatment and would remain in hospital for several days. As well as the apparent damage to his sight, doctors would discover slight damage to his hearing. Perhaps a little stranger, he also had damage to his muscle and tendon reflexes, which were discovered during examination. It is worth noting, when considering Flynn’s integrity, the report of Dr. Paul Brown. It would state this muscle and tendon damage could not have been faked. Incidentally, although his vision would return to normal over time in one eye, the other is permanently, and legally, blind. While he was in the hospital he would receive communication from several military intelligence officers. This phone call apparently came at the orders of General O’Keefe who was stationed at Homestead Air Force Base nearby. They would record basic details of the encounter before informing Flynn that they would visit him again once he was out of the hospital. To the best of anyone’s knowledge, this second visit never happened. In fact, the military appeared to positively distance themselves as much as possible from the incident. This, as we shall see, despite Flynn offering evidence of something untoward for analysis. Flynn also began to experience numbness in his arms over the following days, leading him to visit Dr. Harvie Stipe. Stipe was not only an expert in his field, but he had known Flynn for over twenty-five years. He also had a genuine interest in Flynn’s encounter. So much so that he, along with two other local residents, would accompany Flynn back to the scene of the incident on the afternoon of 26th March. The burned circle of grass that Flynn had recalled waking in following being hit with the light beam was still very visible. A measurement would reveal it to be over seventy-feet across. While elsewhere the usual “forest debris” lay, in this circle of scorched grass, there wasn’t a single item. It appeared as though someone had swept it clean. Flynn would recall the strong gust of wind and how it must have been responsible for the clean appearance of the area. The group would even take soil samples and photographs of the scene and send them to the Homestead Air Base. However, not only were they not returned, they were not even acknowledged, or answered. Whether this silence was down to involvement on the US military’s part or whether it was simply an attempt to publicly distance themselves from a situation they “officially” had no interest in, and very likely, no explanation for is open to debate. That strange aerial crafts were zipping around the skies over Florida throughout 1960s, though, isn’t. 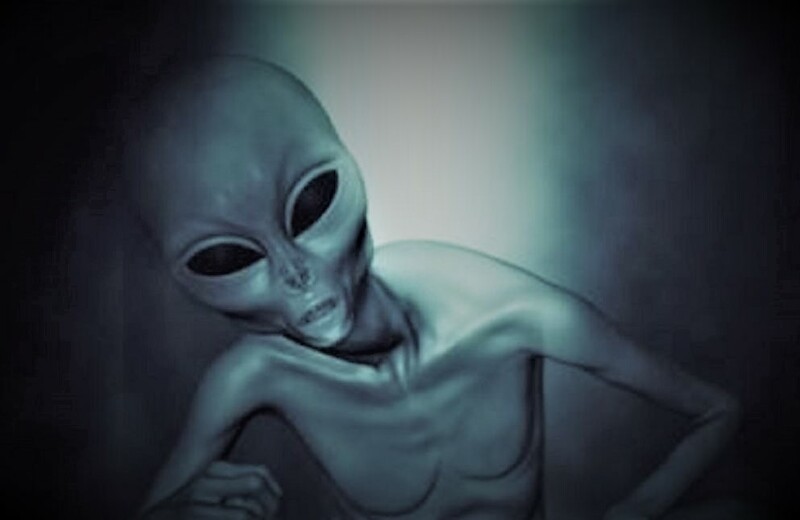 Indeed, Florida as a location is interesting, both due to its (relative) close proximity to the South American continent, another hotbed of UFO activity, as well as the ample amount of US military bases there. I was standing in my driveway smoking when I felt very odd and my hair stood up. I heard dogs barking all over the place. I looked above me and noticed a red/orange sphere about 3,000 feet above me. I initially thought it was a satellite. I then realized it was far to low. I watched it glide over the town of Milo. Once it reached the edge of town, it dimmed down to the brightness of a star and started zig-zagging through the sky. I watched it then shoot faster than anything I have ever seen straight up. A black helicopter from nowhere appeared and circled Milo for 15 minutes. Once the helicopter left the area, it zoomed back by and flared up for a second as it travelled by at an amazing speed. I stood outside for 10 minutes processing what I just saw. NOTE: The above image is CGI. 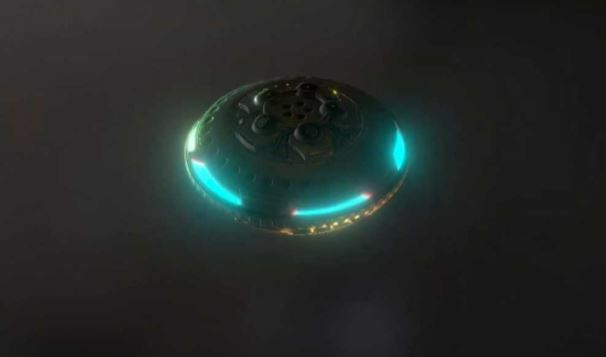 The second call we received minutes later from a gentleman in Jackson, TN, who reported witnessing a blue-green “cloud of light” hovering in the night sky. He had seen it streak from the northwest beneath, he thought, almost solid overcast, hover for approximately 30 or 40 seconds, during which time he could almost see some kind of object apparently imbedded in the cloud of light. The object then began to drift generally to the southwest, the caller reported, at which time it belched out a large “cloud” of sparks, and then streaked southwest, quickly disappearing from sight. The next call came from Fairmont, WV, perhaps a hundred miles (or more) to the northwest of Vienna, VA. A young woman called to report that, after visiting with her mother in Westover, WV, she had just sat in the driver’s seat of her car to leave, when a bright light had streaked silently over her car at a breath-taking velocity. She added that as she glanced up at the light, she thought she could make out the outline of an “egg-shaped” object imbedded in the orb of bright light. The back portion of the object was bright yellow. Many other calls were received that night, and over subsequent days, regarding what appears to us to be the same sighting. Thousands (!) 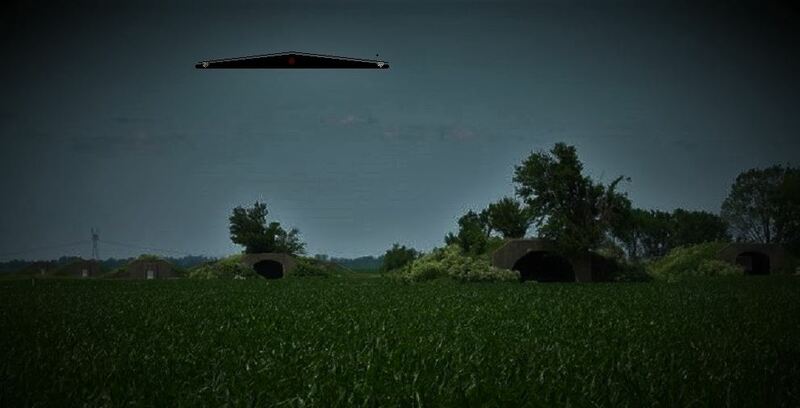 of calls reportedly were received by radio stations and “911” facilities in St. Louis, MO, after the object passed over that city, and we received two very convincing call from western Illinois, as well. 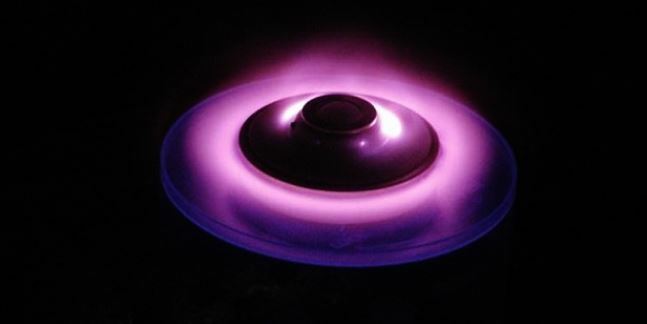 In summary, it appears that one or more egg-shaped objects, radiating intensely bright green, blue-green, and yellow light, and periodically spewing out a cloud of sparks, streaked over at least seven states, stopping from time to time, and the whole event occurred in a matter of minutes!! NOTE: The above image is CGI. Looking out of the window, my partner and I saw a glowing, moving object across the sky. It was definitely not an aeroplane. 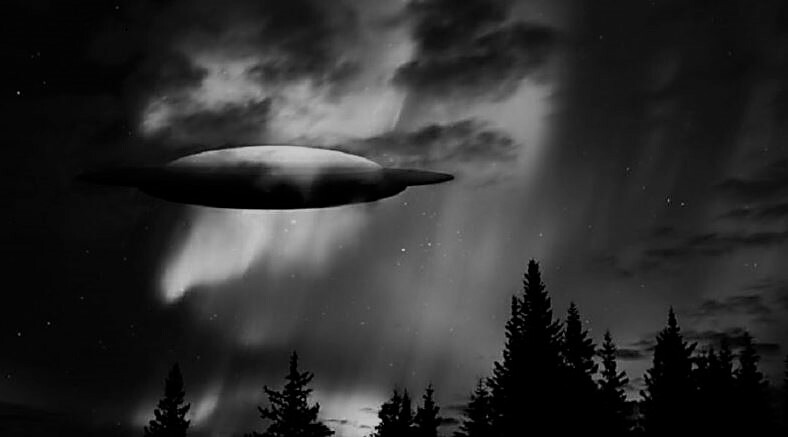 It came from one direction and was moving across the sky into another direction. Then we saw another one, and another and another. The stream of objects appeared every few minutes, and they were not side by side, instead more like they were following one another. Some were far off in the distance, others came nearer to our apartment (on the 4th floor). It was very apparent they were all coming from the same destination and heading to the same destination. The objects themselves, were like glowing balls when seen in the distance. The movement was not sproadic, instead the objects moved across the sky, some did go a bit faster at times, but overall the objects moved quite steady. Sometimes a couple of them appeared to come closer to one another. Interestingly, the same evening, it was a national fireworks night and so there were fireworks going off across the sky. Please note, there was no way these moving objects were confused with fireworks, we have videos to demonstrate this, but it is interesting that such a lot of objects appeared the same night as when they could be partially camouflaged perhaps? As the evening progressed and the fireworks died down, so did the number of objects passing. At its most, we watched an object arrive and go every few minutes, it then slowed down to an object every 5-10 minutes (and then we went to bed). The objects did not suddenly disappear, instead they all continued to travel to a destination that we could not longer see from our apartment. One of the objects flew right above our apartment and the window and I saw it for a few seconds, it was like looking up at a bright, glowing circular object, about the size of a lorry. 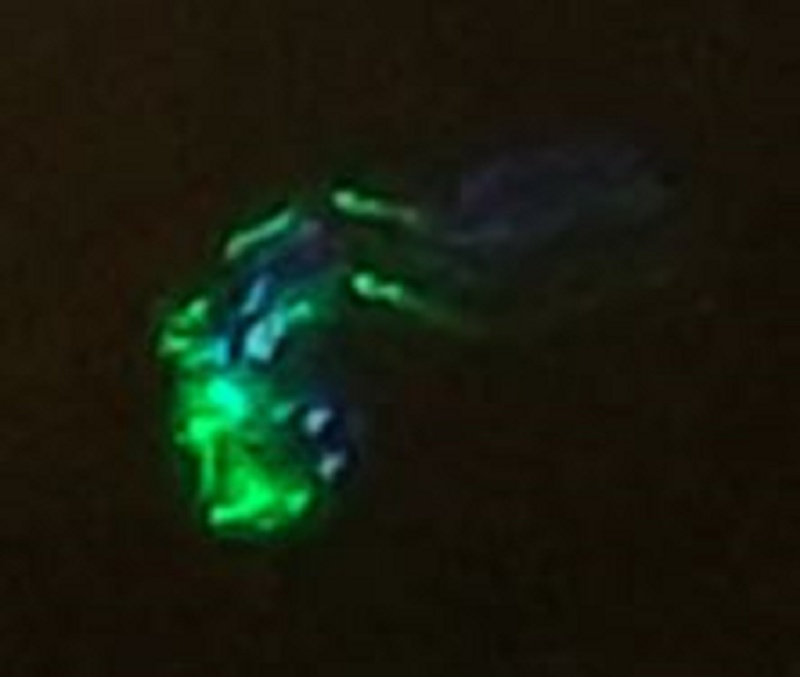 This close up allowed me to definitely see that this was a UFO. Also when taking photos, we could see through the lens, a circles of lights like windows, but I could not see this with the naked eye, and the photos did not show this (cheap mobile camera phone, no professional camera). 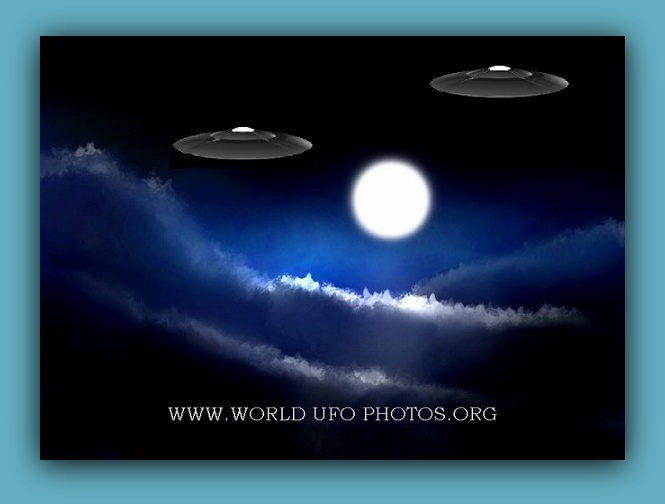 This is not the first time we have seen UFO’s in this same area, it seems there is activity in this area. I took about 80 photos in total, and about 20 videos, I compiled some of the videos together and zoomed in and slowed down some of the video.